Although it's mid-winter, there are still lots of sailing-related activities in which you can participate. Bob Lapin, our Cruising Coordinator, is offering some winter seminars. He's also offering a two-day Coastal Navigation course. This is a requirement for all cruising skippers who would like to take the on-the-water bareboat cruising course this summer. There's also a Marine Weather Seminar at the Columbia Yacht Club, and a Sailing Safety Gear seminar at West Marine. And don't forget our Annual Meeting on March 2. Your attendance will give you a running start on the many new programs and activities planned for the upcoming sailing season and will introduce you to the two new boats in our fleet. For more information on all these activities, see the articles below. As for me, I'm off for a week in mid-February, taking the family sailing in the British Virgin Islands. If any of you are planning other sailing trips to exotic places this winter, we'd love to publish your stories in Between the Sheets once you're back. Just call or email me your adventures and I'll see that they're published. Recently a question came up regarding the timing of annual memberships. 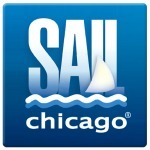 Sail Chicago runs on a calendar year, January 1 - December 31. While you can pay your membership fee at any time during the year, your 2017 membership will end on December 31. See the article below for specific instructions on how to join or renew your membership. If you haven't yet met your 2017 service requirement (see the Sail Chicago Rules & Regulations). There are several positions open that can help you do so. See the articles below for more information. Mark your calendars now! Sail Chicago members and guests are invited to attend our Annual Membership Meeting on Thursday, March 2nd, at Chief O'Neill's Restaurant & Pub, located at 3471 N. Elston, Chicago. Free street parking is available nearby. The meeting will start promptly at 7:00 pm, but do come early to join friends for a drink or dinner. The meeting will feature the annual "State of Sail Chicago" report by our Board Chairman and program heads, election of Directors for new three-year terms, and a question-and-answer period with the Board. There will be ample time for discussion and socializing. The anticipated end time of the meeting is 9 pm. We hope you will be able to attend and help us roll out our 2017 sailing season! Don't miss out on sailing! Membership in Sail Chicago for 2017 is now open. 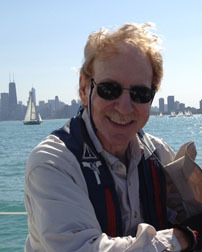 Renewing members can do so online from the my.sailchicago.org website. In the "Account Summary" box on the Landing Page (upper right), click on "Renew" and complete the necessary information. It's that simple! New members may sign up through the public website. Remember, if you want access to the Sail Chicago current membership roster, if you would like to use the reservation system, or to vote for Directors at the Annual Meeting, you MUST be a 2017 member. MET YOUR SERVICE REQUIREMENT? SIGN UP NOW! Spring is right around the corner and we need to get our maintenance teams ready. We are continuing to break down maintenance jobs to increase efficiency. Here is a description of the structure and needs. Please contact Chris Garvey if interested. Co-coordinators (3): Tom Peterson is currently the coordinator for maintenance. We would like 2 more members to be co-coordinators. These 3 people will oversee the program and will each earn $200 in sailing credit. Boatyard coordinators (2): These people will organize, coordinate (with boat managers and maintenance coordinators), monitor pre and post sail work done in the yard. They will need to designate the work that needs to be done in the yard, so members who come to help can efficiently complete the work. They need to work with the boatyard trailer coordinator to make sure they have all the supplies they need. They will each ear $100 in sailing credit. Boatyard team members: These members will do maintenance and complete their service time by working in the yard. Five days will complete service time requirement. At this time, we will take as many members as we can get. Maintenance communicator: This person will help the above coordinators by communicating to members, when necessary. Boat managers: All boat managers are returning this year. Boat teams: Team members work with managers to maintain boats. There are always spaces open. Managers set one day/week to do maintenance. After the work is done, a free sail is possible. Service time is satisfied with active participation. Gas team: We already have a manager. Now we need a team to fill the boats up with gas on Friday nights. Two people at a time are needed to do the job. You need to sign up for 5 Fridays to complete your service time. After filling the boats with gas, you can go out for a free sail. MEMBERSHIP COORDINATOR NEEDS HELP NOW! It's the busy season for membership inquiries and Faith Hillis, our Membership Coordinator, needs help now to help answer inquiries. Active participation satisfies service time. Please contact Chris Garvey. We're having a party to open our sailing season on Saturday May 20 at the Columbia Yacht Club. Snacks, pop, and beer will be available. In addition, several of the boats in our fleet will be on display. More information will follow, but for now just mark the date in your calendar. Calypso, our Pacific Seacrest Ericson 34. Calypso was added to the Sail Chicago fleet in late 2016. In order to qualify for the course, you must be a Cruising Skipper or plan to become one early in the 2017 sailing season. You must also complete an on-shore Coastal Navigation course that will be offered on the Saturdays of February 25 and March 4 from 9 a.m. to 1 p.m. at an office location in the south loop. To learn the details of both the Sail Chicago Cruising courses and the Coastal Navigation Course, click here. To register for the February 25/March 4 Coastal Navigation Course, click here. Questions? Contact me! February 7 - Introduction to Coastal Navigation - This seminar presents the highlights of the two-day workshop offered later in the month. To register, click here. February 13 - Aids to Navigation - Brush up on your AtoN's before hitting the Caribbean for your winter cruise. To register, click here. February 20 - Weather - Presenting this seminar is Melchior Dikkers, a European certified blue-water sailor and instructor. Come learn from a sailor who has sailed the world and educated skippers to do the same. To register, click here. I attended the Great lakes Marine Weather Seminar at this year's Strictly Sail Show. This excellent seminar is presented by Mark Thornton, an experienced Great Lakes sailor and professional meteorologist. Mark is presenting the same seminar at Columbia Yacht Club on February 25 from 8:00 am to 4:30 pm. The fee is $65 and includes lunch and beer. The seminar at the Strictly Sail Show was $125 with no lunch so this is quite a deal. Mark presents a basic foundation to understanding weather and then recommends specific web sites that should be part of every sailor's preparation for a cruise. He is an excellent presenter whom we will be adding to Sail Chicago's cruising curriculum. To register, click here. 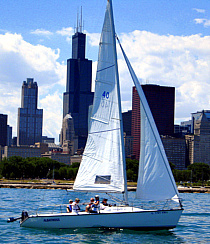 Sail Chicago scheduled 90 Tiller Times this past sailing season. That's the same number as in 2015 and 20 more than in 2014. Sixteen (16) Tiller Time Skippers delivered these Tiller Time sessions to approximately 220 Sail Chicago sailors. Many "thanks" to all of our Tiller Time Skippers for contributing their valuable time and expertise to this important Sail Chicago program. We look forward to expanding the program this year. Tiller Times allow current member-students an opportunity to practice on the water with an experienced skipper. There is no fee for Tiller Times. Your Sail Chicago Board has been able to arrange a new benefit for our members. 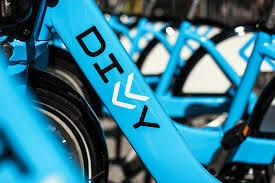 Starting today, you'll be able to get a discounted $89 Annual Membership (regularly $99) to Divvy, Chicago's bike share system with thousands of bikes available to you 24/7. We want to encourage a convenient, affordable, and fun way to get around the city and of course to Monroe and Belmont Harbors where our fleet is moored. Visit the Divvy website to learn more about how it works and where stations are located. This new and exciting benefit is for Sail Chicago members only. We hope you'll take advantage of it. To obtain your discount code email Sarah Pellegrino. Enjoy your ride. Sail Chicago once again made its presence felt in a big way at the 2017 Strictly Sail Chicago Show, January 11 - January 15, at McCormick Place. Our newly-renovated Sail Chicago booth was an integral part of the US Sailing Pavilion. Almost fifty Sail Chicago members generously donated their time to help staff the booth during the five day event. Their efforts were not unrewarded. Almost one-hundred Show visitors signed up to learn more about Sail Chicago's instruction and racing programs. Thanks to all those who helped to make our presence at Strictly Sail Chicago felt in a very positive way. We're grateful for your efforts. Spring maintenance season hasn't started yet and sailing season is still far in the future. Perhaps it's time to catch up on a few activities that will make us better sailors this coming summer. Sail Magazine has published a great article on "Seven Essential Knots for Sailors" that makes knot-tying look easy. So read the article, get some rope, and start practicing. Rubato, our newest Colgate 26, is safely stored in Canal Street and will be ready for our 2017 sailing season. The winter seminar series is being set up and is announced in this issue of Between the Sheets. Tom Peterson reported that the standing rigging on two Colgates will be replaced. The split haul-out went well and the launching for the 2017 season will also be split with four boats launched first followed by three the following week. The Strictly Sail show will be held at McCormick Place from January 11 through January 15 this year. 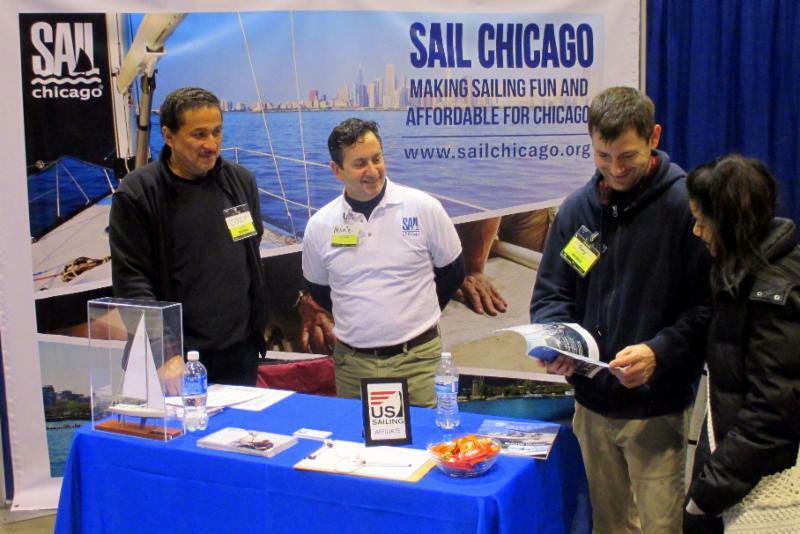 Sail Chicago will have a booth in the U.S. Sailing pavillion. Volunteers are needed. Next month's meeting will be at 7:00 p.m., Thursday, January 12, at Grant Thornton, 171 N. Clark, Chicago. As always, all members are welcome.